Writing this today I have to admit that there is nothing about wicker that I can tell you that you don't already know. The epitome of French chateau chic, inspiring visions of Jane Birkin in vintage flared jeans, Breton top and sun bleached hair. The wicker bag is dateless and easily sourced. ​Newer versions are just as beautiful, real wicker if you must but beware that dancing in the rain is not an option, hence the newer synthetic versions with protective lining mean you can achieve this festival chic look without worry. How available are these bags? Quite available!!! The Cult Gaia bag or holly grail of vintage inspired wicker bags, currently most featured piece on pintrest and instagram, seen literally on every fashion blogger on earth and my favorite. Available to buy online from the USA but ships to the UK. 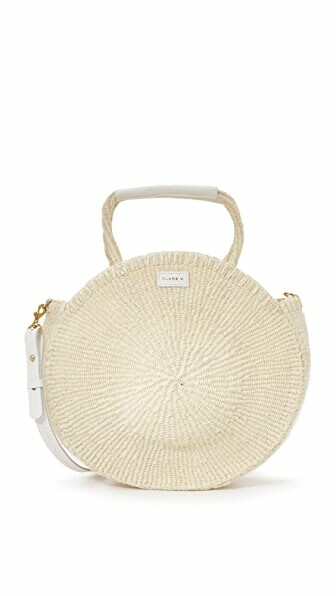 A very attractive bag, with an even more beautiful price tag. Otherwise the sky is really your limit as a very wide selection of these bags exist, but surprisingly more in the higher price end. I would have a look on Ebay/etsy for a start as have a large selection ranging from vintage to new with price starting from 99p. If bespoke is more your style, why not look online for artisans who would make your bag from scratch. ​ While on your travels, for a truly romantic piece why not visit local markets in France, Italy, Spain etc as seriously nothing beats that hand made totally unique piece made with skills passed on from generation to generation. All beautiful! !Seriously lusting after all !! Thank you Regina, loved the bag and have shared the link, my goodness Etsy has an amazing collection, wow where does one start from..
Definitely no need to spend a whole lot on these with what's available online..